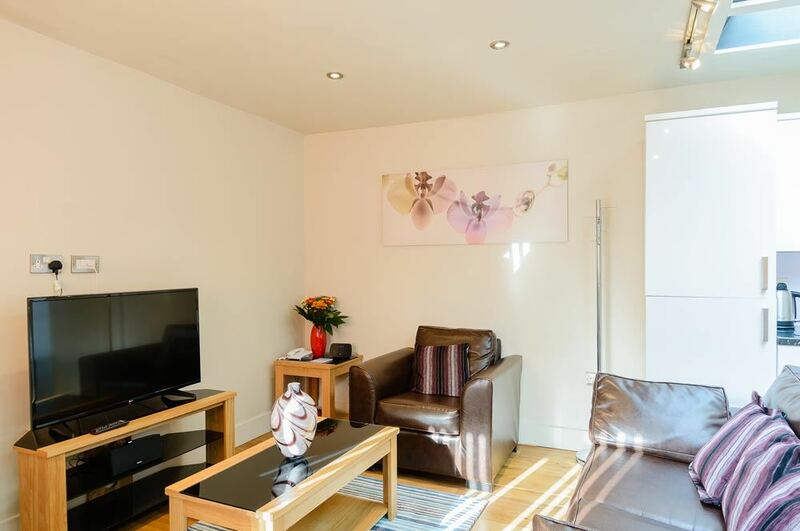 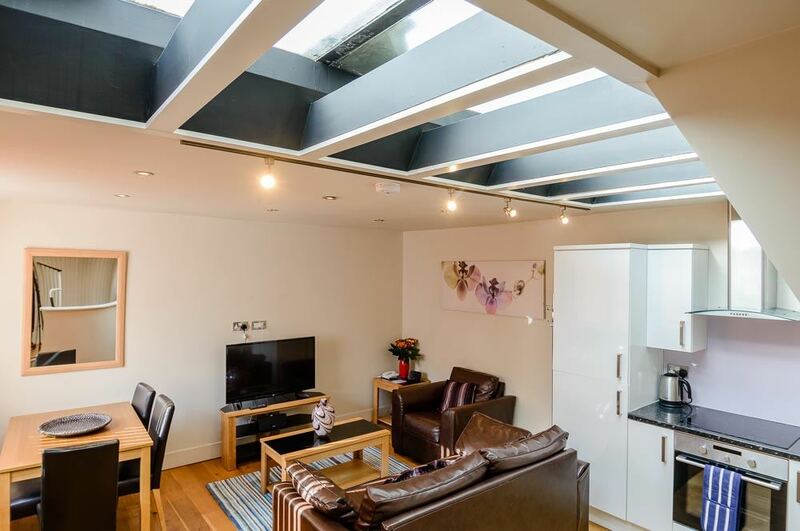 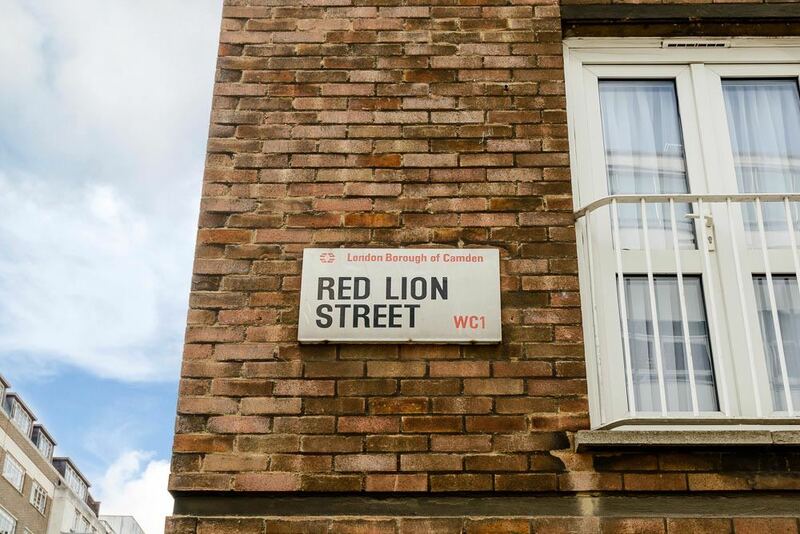 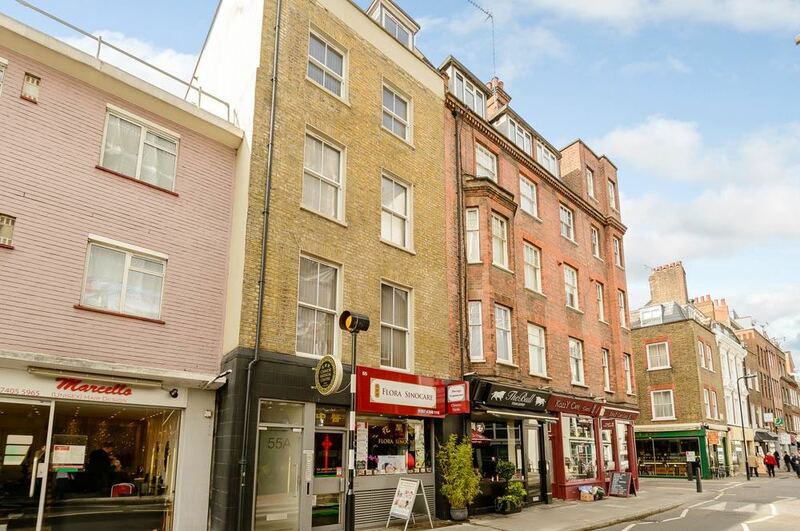 Red Lion Street Apartments are located in between the Bloomsbury and Covent Garden..
Red Lion Street Apartments are located in between the Bloomsbury and Covent Garden area, and are within easy reach of the West End theatres or 'Theatreland' as it has come to be known. 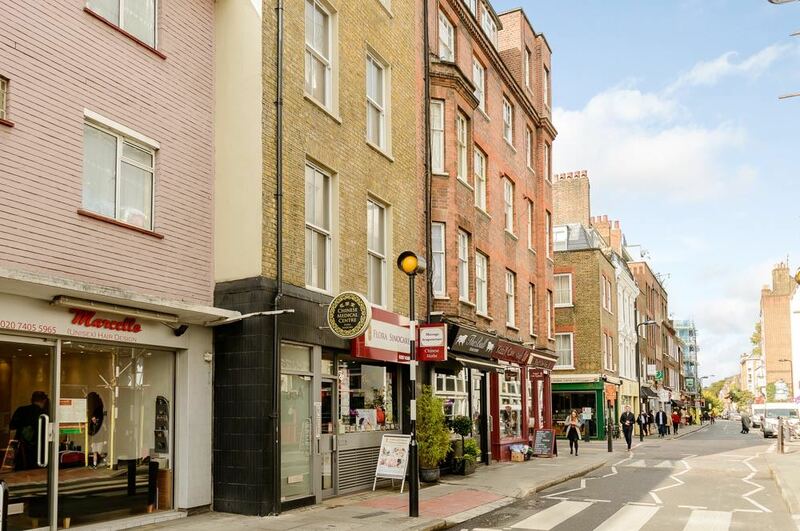 Also, on your doorstep is a multitude of fine dining restaurants, top rate bars, a vibrant nightlife, and worldclass shopping stretching down to the bustling Oxford Street. 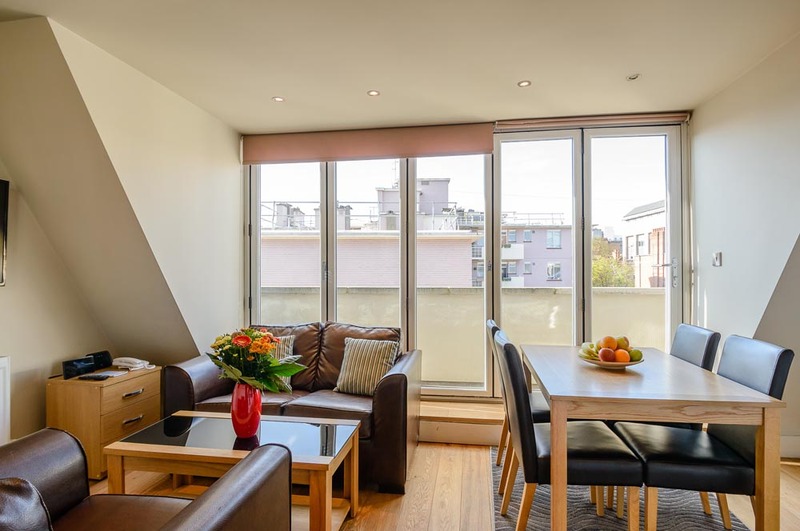 The main financial districts are within easy reach and popular nearby attractions include the British Museum, Covent Garden, Leicester Square and Regents Park. 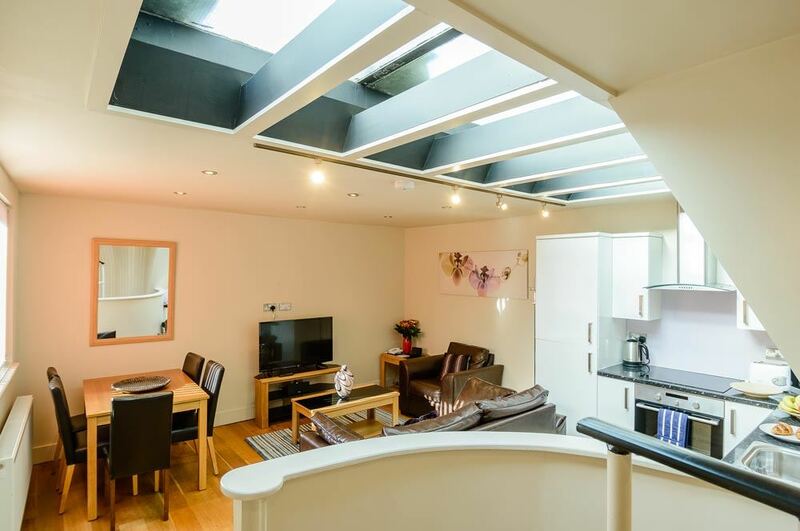 Excellent transport links from nearby stations like Russell Square, Holborn and Chancery Lane operate to all parts of the capital, making it a convenient and well connected home for business or holidays in London. 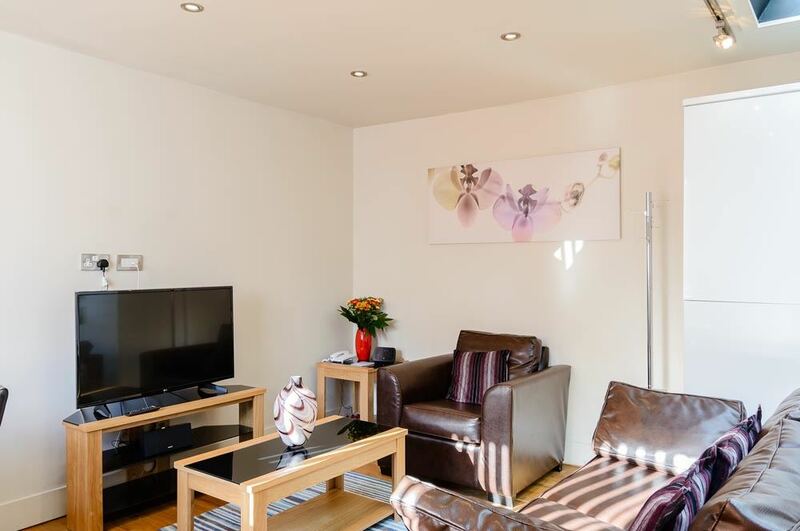 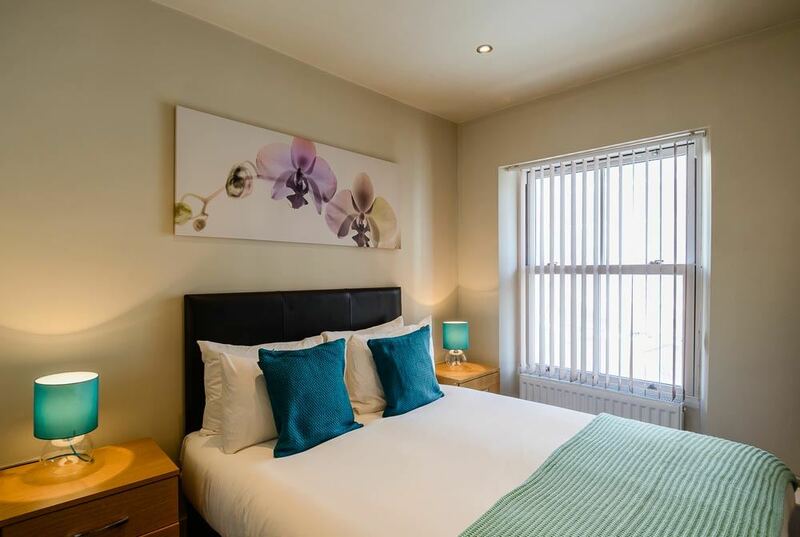 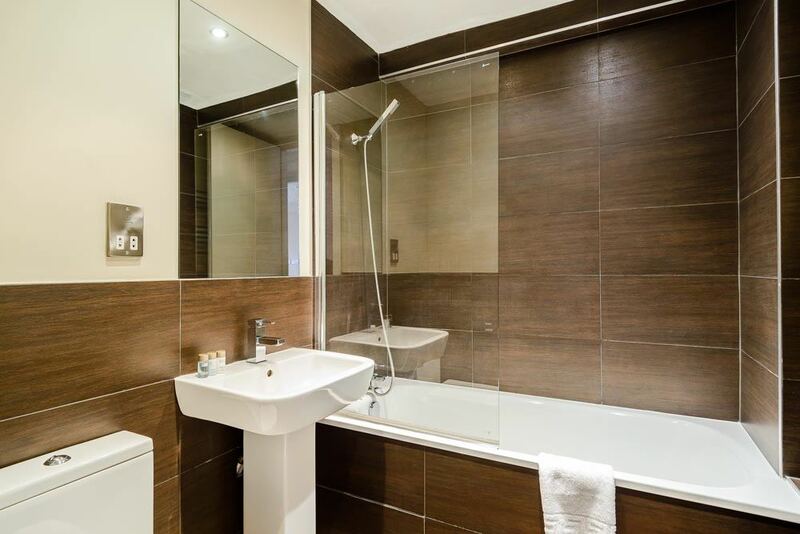 Red Lion Street Apartments are a particularly spacious set of apartments and feature relaxed living spaces, quality leather furniture, spa-style bathrooms, contemporary open-plan kitchens with marble worktops and a range of high-tech amenities like 42" Smart TVs and Smart Tablets. 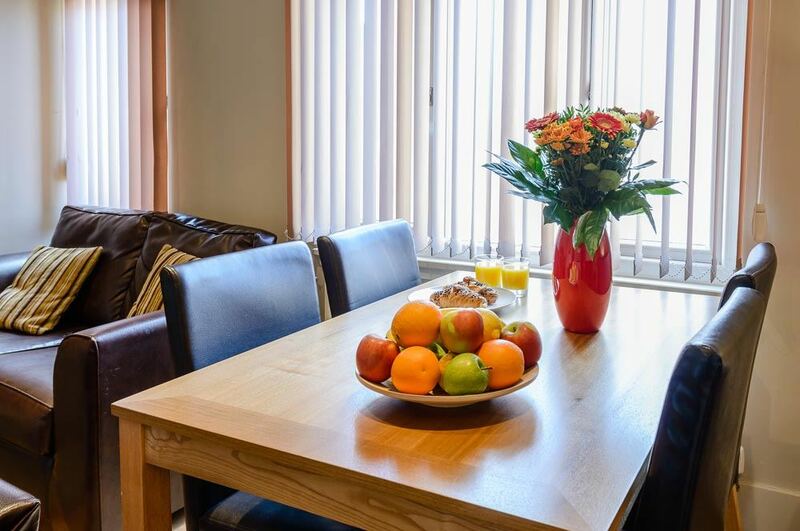 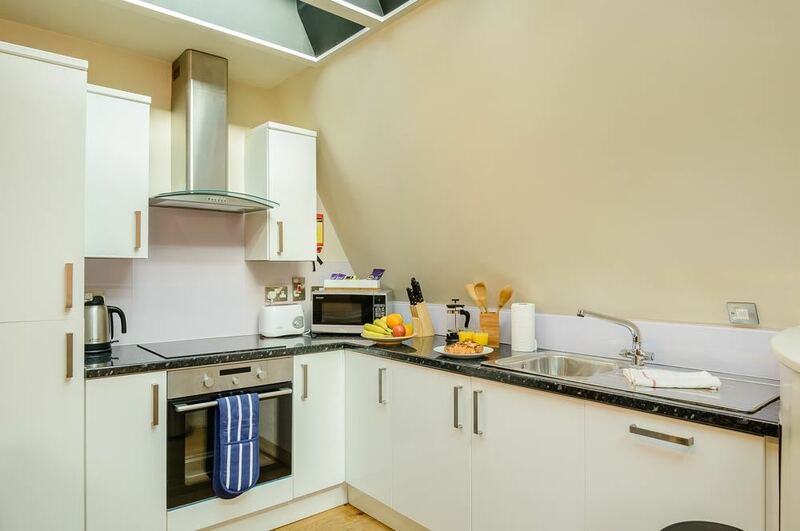 Housed in a Georgian-style building, each apartment is designed to create a homely experience with everything you need to have an enjoyable stay in a vacation rental in London. 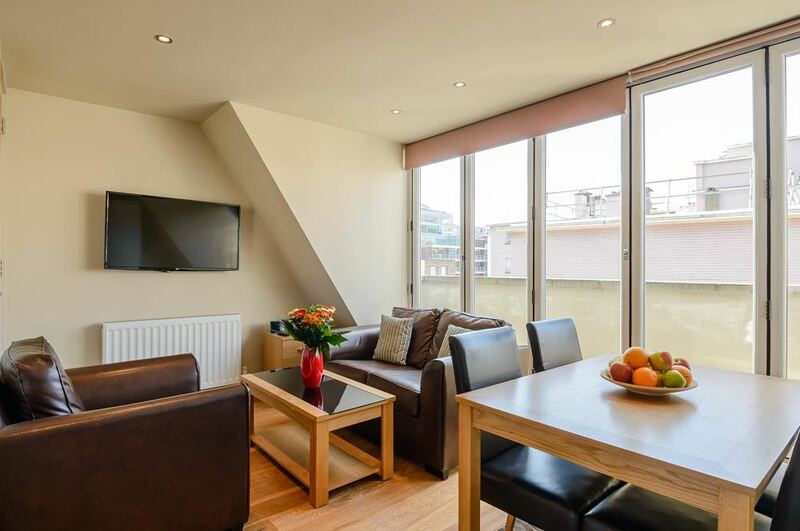 Chic wooden flooring lends a modern feel to the apartments while floor to ceiling windows and classic sash windows allow ample natural light to bathe the living areas. 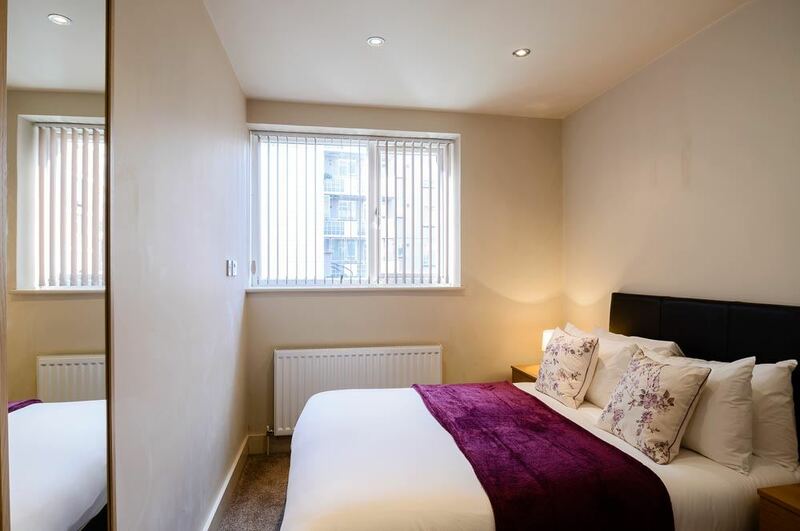 The apartments also benefit from convenient laundry facilities like a washer dryer. 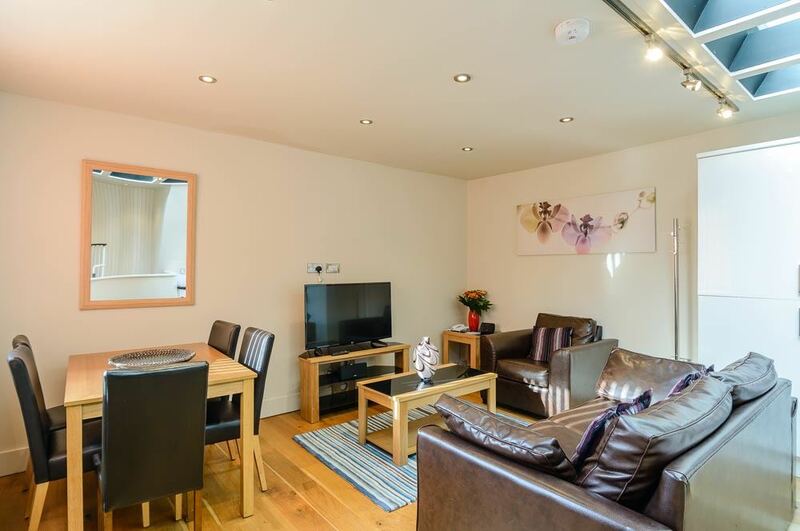 Pets are also welcome (on request for an extra charge). 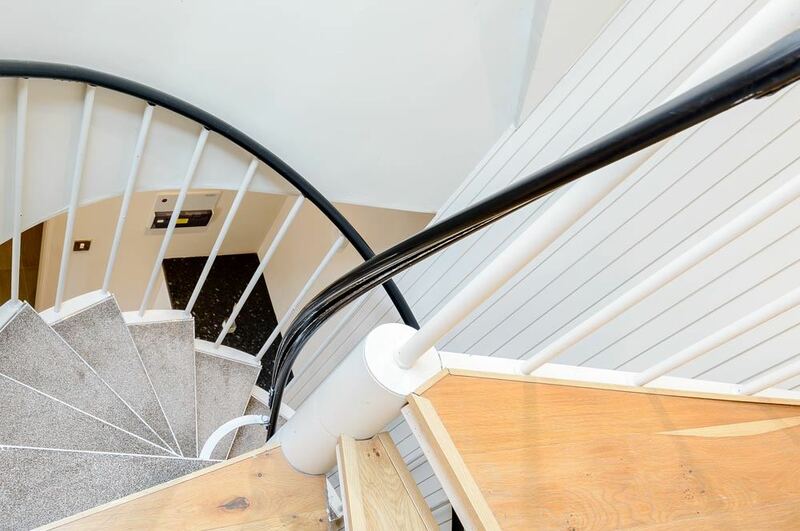 Please note: There is no reception or luggage room service available at this building. 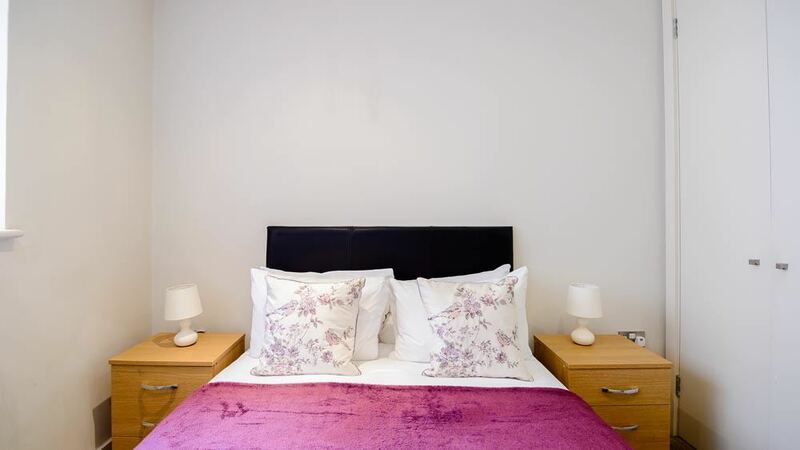 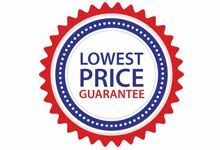 Sleeps two but can accommodate up to three people with one extra bed (available on request for an extra fee per night) sleeping a third person. 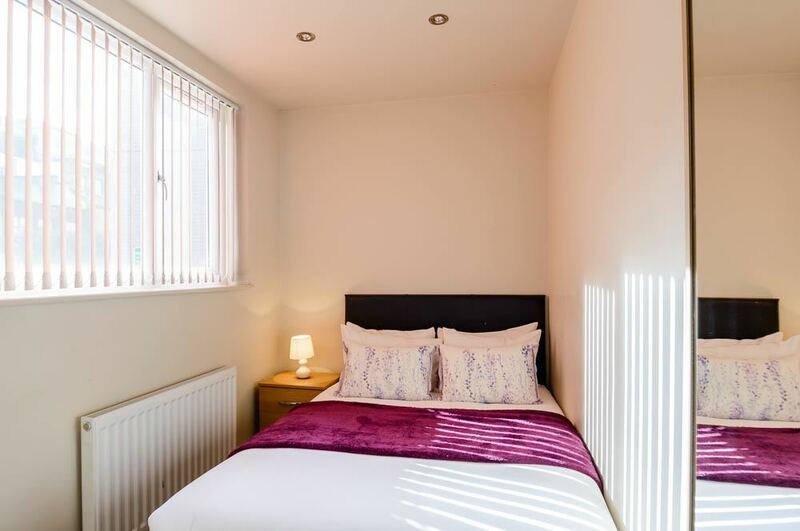 The apartment has a separate bedroom with a double bed, one bathroom and a kitchen and living area. 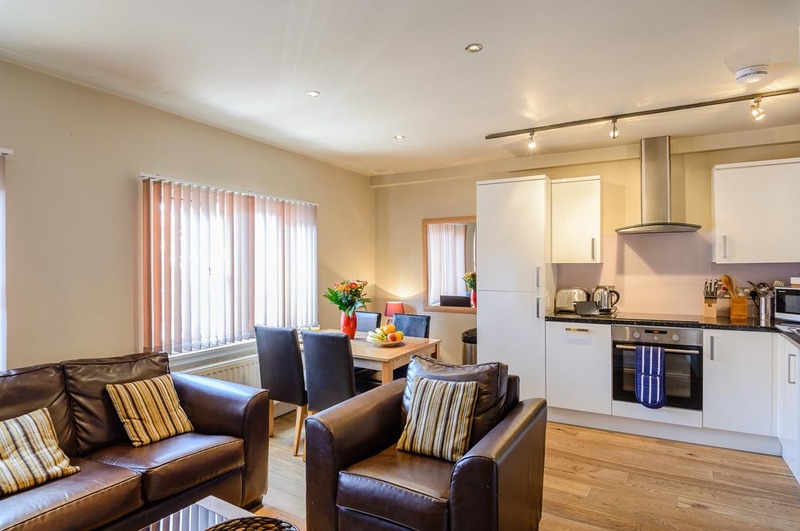 Sleeps four and has two bedrooms with double beds, a fully fitted kitchen, living and dining area, and one bathroom. 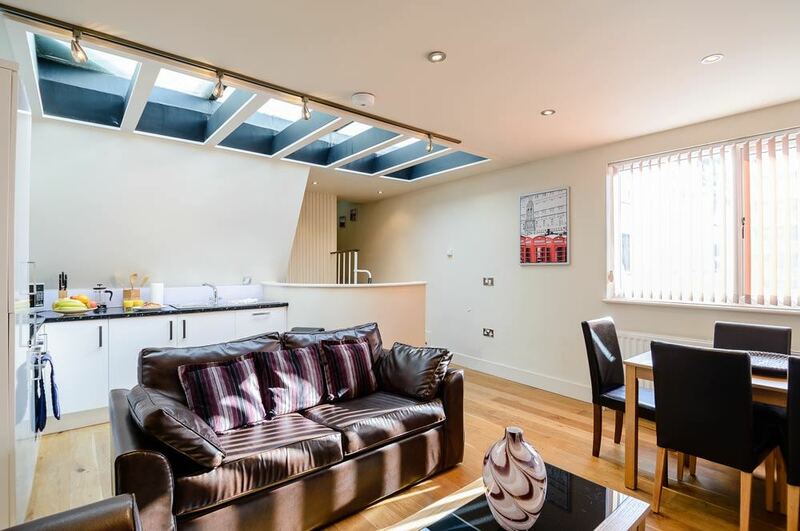 This apartment also features a balcony.